You may still be in summer mode, but fall is upon us, with winter quickly approaching. You can get ahead of the game by starting your winter prep now, before the holiday rush hits. Follow these tips from NerdWallet Shopping and DealFinder to save money while you get ready for the busiest shopping time of year. Come rainy days and chilly nights, you’ll likely be spending a lot of time in your home. You can take a few simple steps to make your house a cozy and inviting space. Candles are a classic touch that beautifies your surroundings and adds a seasonal scent to the air. Immerse yourself in the holiday spirit by decorating seasonally. To accessorize without breaking the bank, look for holiday discount events, such as the harvest decor sale happening now at Big Lots. You can also take advantage of free shipping on Halloween and harvest merchandise right now at home improvement retailer Home Depot. Or, for a fun, creative and cost-effective way to enhance your home, go DIY and try your hand at making decorations yourself. Step into the garage for your second prep step. If you haven’t already, take this time to pack your vehicle with emergency supplies and a first-aid kit. Schedule a maintenance check and conduct a thorough examination of your vehicle. This includes a check of your car’s brakes, battery, spark plugs, antifreeze level and tires. Keeping up on this type of maintenance now can help save you from costly repairs later. If your tires are showing signs of wear, there is actually no better time to buy them than right now. These expensive automotive investments typically reach their lowest prices in October, just ahead of the winter season. Before you make a purchase, be sure to check for any available tire rebates. The four-legged members of your family need help getting ready for winter, too. Consider purchasing pet jackets, sweaters, vests and boots for your furry friend before the coldest part of the season hits—prices are lower now. For example, there is currently a sale on dog sweaters and coats at PetSmart. Outdoor animals may need more than jackets and blankets. Make sure you have warm bedding and/or indoor accommodations prepared for when the temperatures drop. You’ve got your home, your car and man’s best friend winter-ready — don’t forget to spend some time prepping yourself for the months ahead. Your wardrobe may need an update for the change in weather. Stock your closet with items that are functional, such as sweaters and sweatpants. Remember that you don’t have to choose between clothes that are either fashionable or affordable. You may find the best of both worlds at discount retailers, which carry trendy pieces that are comparable to runway styles for a fraction of the price. Once outfitted, fight the winter blues with a regular health and fitness routine. Get your exercise program going now so it’s a habit once you’re deep into the winter months and facing the temptations of holiday binge eating. Look for gyms with low membership fees or free trials. If you’d rather not pay for a membership at all, get involved in a low-cost form of exercise that you can do on your own, such as walking, running, yoga or weight-bearing activities that don’t require any equipment. Last, here’s a tip for staying healthy while saving money: Get a flu shot (or FluMist, if appropriate). If you’re part of the vast majority of people that the Centers for Disease Control and Prevention recommends should get a flu shot, don’t hesitate. Flu season can begin as early as October, so it’s recommended that you get yourself vaccinated sooner rather than later. Protecting yourself from the flu will help you feel your best so you can enjoy everything that fall and winter have to offer—and you’ll also spare yourself the associated costs of illness, like unpaid sick days from work, doctor copays and copious boxes of tissues. 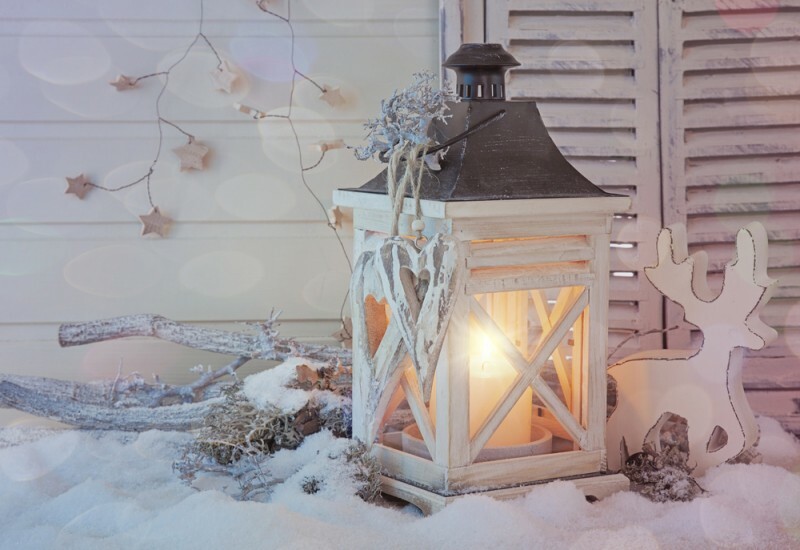 Winter decor image via Shutterstock.